We are now offering Hybrid Lash Extensions at The Beauty of Weybridge! 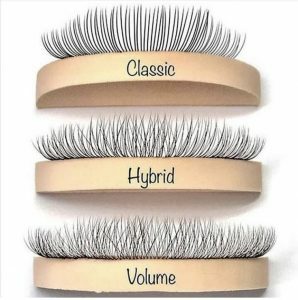 Hybrid lashes are a combination of Individual and Russian Volume lashes. They give your lashes a fuller, denser and fluffier look compared to classic lash extensions. Your therapist will tailor your extensions to suit your natural lashes and give you your desired look by using a 50/50 mix of individual classic lashes and handmade, fanned volume lash extensions. They are suitable for all types of natural lashes, and clients with naturally finer/sparse lashes would really benefit from this treatment as the volume lashes help to fill in any gaps and add fullness where desired. Hybrid lash infills need to be done within 3 weeks of having your full set. For Individual Lash Extensions we recommend lash infills every 2-3 weeks. HD Brows £35.00 – This 7 step procedure gives you the ultimate “High Definition Brows” consisting of tinting, waxing, tweezing, threading, mineral make-up and eyebrow pencilling.